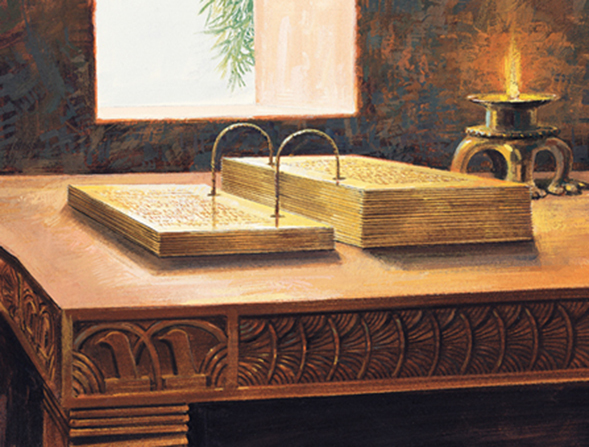 According to Joseph Smith,1)Joseph Smith: “I wish to mention here that the title-page of the Book of Mormon is a literal translation, taken from the very last leaf, on the left hand side of the collection or book of plates, which contained the record which has been translated, the language of the whole running the same as all Hebrew writing in general [that is, from right to left]; and that said title page is not by any means a modern composition, either of mine or of any other man who has lived or does live in this generation.” Teachings of Presidents of the Church: Joseph Smith, (2011), 57–68 the title page of the Book of Mormon was written by Moroni, the concluding author of the book. It was included in the very left-most end of the book, which for us, would look like the beginning, but the book was formatted in the Hebrew style, which is read from right to left. So the title page was written by Moroni on the very last page of the abridgment. Have you ever wondered why Mormon abridged the Nephite record? Why didn’t he just include the full record? Well, that one’s simple: they are the descendants of Lehi.4)LDS.org defines Lamanites as, “A group of people in the Book of Mormon, many of whom were descendants of Laman.” Besides descendants of Laman, the people of the Book of Mormon often called the descendants of Lemuel and the sons of Ishmael Lamanites. Even Nephites who turned away from their faith sometimes came to be called Lamanites. Mulekites (and likely others) also mixed into the Nephites, and so eventually into the Lamanites as well. So, while there are several branches or types of Lamanites, the one consistency is that they are all descended from Lehi, either through his sons or his daughters And while society loves to tell the latter-day saints that Native Americans didn’t come from the middle-east, Joseph Smith and the Lord called them Lamanites, and that’s good enough for me.5)Joseph Smith was blessed with many experiences with both the Lamanites and the ancient inhabitants of the Americas. He met several of the people of the Book of Mormon, saw visions of the past, and conversed with the heavens on many things relating to the Lamanites, their ancestry, and the promises made to their posterity. I consider his authority on the subject far better than anything modern scientists or historians can conjure up. D&C 32:1-2 “And now concerning my servant Parley P. Pratt, behold, I say unto him that as I live I will that he shall declare my gospel and learn of me, and be meek and lowly of heart. 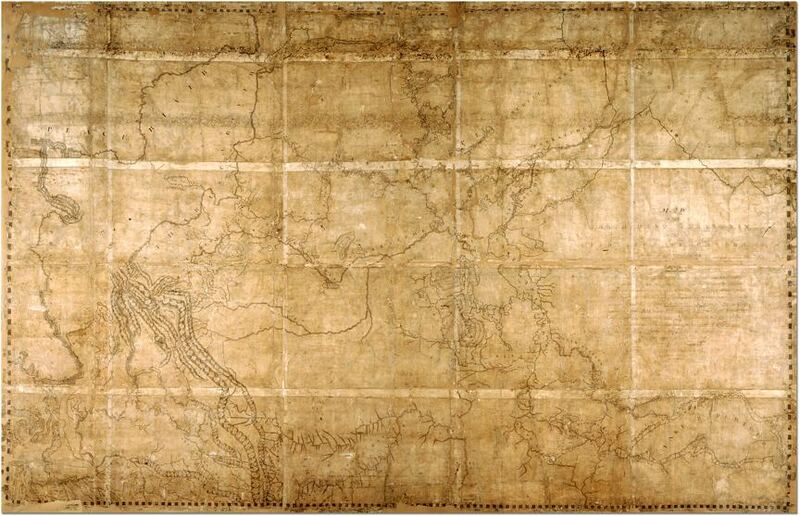 And that which I have appointed unto him is that he shall go with my servants, Oliver Cowdery and Peter Whitmer, Jun., into the wilderness among the Lamanites.” There are also others, such as Polynesians, native Central and South Americans, and probably several native Canadian tribes that are also descendants of Lehi. It has very little to do with the percent of Lamanite blood. If a person has ancestry that can be traced to Lehi, they can consider themselves Lamanite. This one’s also simple. A descendant of Judah is a Jew. This is the tribe of Israel that is easiest to trace back, because we have a practically unbroken record back to the time of Judah. This is a misconception. It’s true that the term has occasionally been used to refer to those outside of the church, but that use is rare. Basically, by the Book of Mormon definition of the word gentiles, almost all of us are gentiles. I’m a gentile. My family is a gentile family, and the promises of the Lord are extended to us so long as we repent, come unto the Lord, be baptized, and follow His doctrine. If we do so, we will be numbered among the house of Israel, and even adopted into that house. The term gentile is neither a derogatory term nor a negative thing at all. It refers to bloodline. Those who are not of the line of the 12 tribes of Israel are gentiles, and the Lord promises that those who follow him, from whatever bloodline, will be blessed. What is the spirit of prophecy? What is the spirit of revelation? Brigham Young has said that those who read the scriptures should do so in the same spirit as those who wrote the scriptures.10)“Do you read the scriptures, my brethren and sisters, as though you were writing them a thousand, two thousand, or five thousand years ago? Do you read them as though you stood in the place of the men who wrote them? If you do not feel thus, it is your privilege to do so, that you may be as familiar with the spirit and meaning of the written word of God as you are with your daily walk and conversation” –Discourses of Brigham Young, 128. If the Book of Mormon was written by the spirit of prophecy, and the spirit of prophecy is the testimony of Jesus, and we should be reading the book in the same spirit in which it is written, then we should be reading the Book of Mormon in the spirit of our testimonies of Jesus Christ. That’s how we are to get the most out of the book. During Nephite times, a unique curse was laid on this land (I have no idea if the curse was lifted later or not), which states, “whoso shall hide up treasures in the earth shall find them again no more, because of the great curse of the land, save he be a righteous man and shall hide it up unto the Lord. For I will, saith the Lord, that they shall hide up their treasures unto me; and cursed be they who hide not up their treasures unto me; for none hideth up their treasures unto me save it be the righteous; and he that hideth not up his treasures unto me, cursed is he, and also the treasure, and none shall redeem it because of the curse of the land.”13)Helaman 13:18-19 Obviously, Moroni was a righteous man, and hid this treasure up unto the Lord. Since the priesthood has the power to bind and seal on earth, it would be no surprise to one day learn that the Book of Mormon was sealed and protected to come forth in the Lord’s own due time. For my part, Brothers and Sisters, I am glad the book will be with us “as long as the earth shall stand.” I need and want additional time. For me, the Book of Mormon is like a vast mansion with gardens, towers, courtyards, and wings. My tour of it has never been completed. Some rooms I have yet to enter, and there are more felicitous fireplaces waiting to warm me. Even the rooms I have glimpsed contained further furnishings and rich detail yet to be savored. There are panels inlaid with incredible insights, and design and décor dating from eden. There are even sumptuous banquet tables painstakingly prepared by predecessors which await all of us. Yet we as church members sometimes behave like hurried tourists, scarcely venturing beyond the entry hall. May we come to feel as a whole people beckoned beyond the entry hall. May we go inside, far enough to hear clearly the whispered truths from those who have slumbered, which whisperings will awaken in us individually, a life of discipleship as never before. 14)Neal A. Maxwell, The Great Answer to the Great Question, FARMS audio cassette, Deseret Book. In my opinion, this is one of the most valuable statements from the title page. 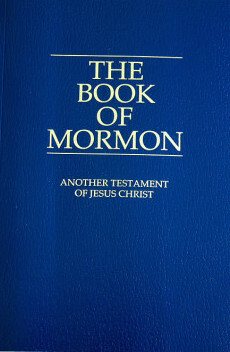 The Book of Mormon, though the most correct book on earth20)“I told the brethren that the Book of Mormon was the most correct of any book on earth, and the keystone of our religion, and a man would get nearer to God by abiding by its precepts, than by any other book.” History of the Church, 4:461; from instructions given by Joseph Smith on Nov. 28, 1841, in Nauvoo, Illinois; reported by Wilford Woodruff., is not perfect. Neither were its many authors or its translator. But they were prophets. We can trust their words. Some people stop with the first line, “If there are faults they are the mistakes of men,” and leave it at that. But the major point here is, “condemn not the things of God.” The Book of Mormon is the word of God. 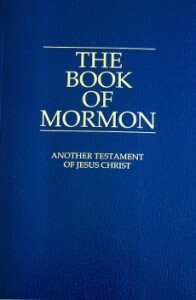 It contains the fulness of the Gospel, and one of the greatest issues we will deal with in this life is how we respond to the question, “Is the Book of Mormon the mind and will and voice of God to man?”21)Ezra Taft Benson: My beloved brothers and sisters, we hardly fathom the power of the Book of Mormon, nor the divine role it must play, nor the extent to which it must be moved. 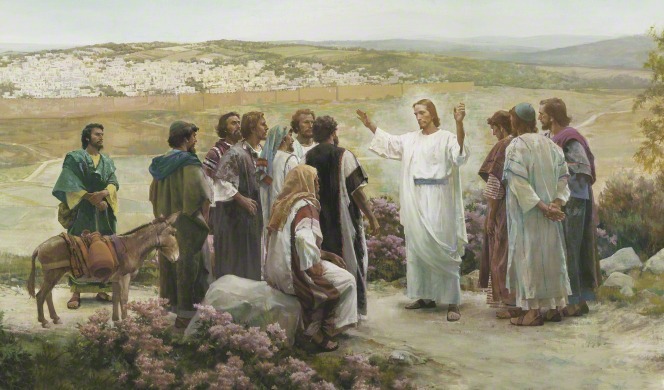 “Few men on earth,” said Elder Bruce R. McConkie, “either in or out of the Church, have caught the vision of what the Book of Mormon is all about.Few are they among men who know the part it has played and will yet play in preparing the way for the coming of Him of whom it is a new witness. …The Book of Mormon shall so affect men that the whole earth and all its peoples will have been influenced and governed by it. …There is no greater issue ever to confront mankind in modern times than this: Is the Book of Mormon the mind and will and voice of God to all men?”(Millennial Messiah pp. 159, 170, 179.) We testify that it is. –Ezra Taft Benson, Flooding the Earth with the Book of Mormon, General Conference October 1988. I testify that it is. 10. ↑ “Do you read the scriptures, my brethren and sisters, as though you were writing them a thousand, two thousand, or five thousand years ago? Do you read them as though you stood in the place of the men who wrote them? If you do not feel thus, it is your privilege to do so, that you may be as familiar with the spirit and meaning of the written word of God as you are with your daily walk and conversation” –Discourses of Brigham Young, 128. 14. ↑ Neal A. Maxwell, The Great Answer to the Great Question, FARMS audio cassette, Deseret Book. 20. 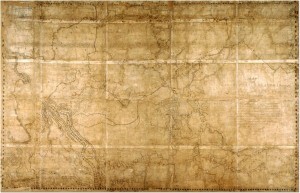 ↑ “I told the brethren that the Book of Mormon was the most correct of any book on earth, and the keystone of our religion, and a man would get nearer to God by abiding by its precepts, than by any other book.” History of the Church, 4:461; from instructions given by Joseph Smith on Nov. 28, 1841, in Nauvoo, Illinois; reported by Wilford Woodruff. 21. ↑ Ezra Taft Benson: My beloved brothers and sisters, we hardly fathom the power of the Book of Mormon, nor the divine role it must play, nor the extent to which it must be moved. 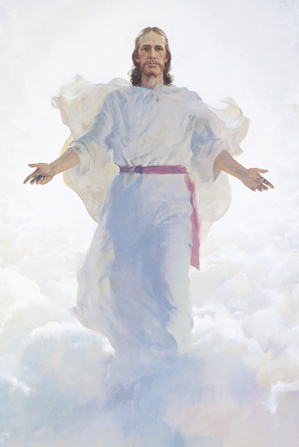 “Few men on earth,” said Elder Bruce R. McConkie, “either in or out of the Church, have caught the vision of what the Book of Mormon is all about.Few are they among men who know the part it has played and will yet play in preparing the way for the coming of Him of whom it is a new witness. …The Book of Mormon shall so affect men that the whole earth and all its peoples will have been influenced and governed by it. …There is no greater issue ever to confront mankind in modern times than this: Is the Book of Mormon the mind and will and voice of God to all men?”(Millennial Messiah pp. 159, 170, 179.) We testify that it is. –Ezra Taft Benson, Flooding the Earth with the Book of Mormon, General Conference October 1988. This entry was posted in Book of Mormon, Book of Mormon: Verse By Verse Commentary, Miscellaneous. Bookmark the permalink.